Lenovo Launches his Z5s without In-display Camera in December. Lenovo announced his new Z5s smartphone, which has been hyped from some days for In-display camera. but Lenovo launches in the device with a water notch display without the in-display camera. The mid-range device will come with a 92.6 percent screen-to-body ratio with 19.5:9 aspect ratio. Lenovo has ditched it and bought in the water drop notch display which will be housing the front camera. Lenovo did it partly by launching the device in December. About the specification, in the devise is a 6.39-inch 1080 x 2340 pixels Full HD+ display with 19.5:9 aspect ratio with LTPS display and under the hood, there will be a Snapdragon 710 SoC with eight cores coupled with Adreno 616 GPU. There is a 4GB / 6GB RAM option with 64GB internal storage with 64GB and 128GB of storage options. It will come with Android 9.0 Pie operating system with ZUI 10 on top. 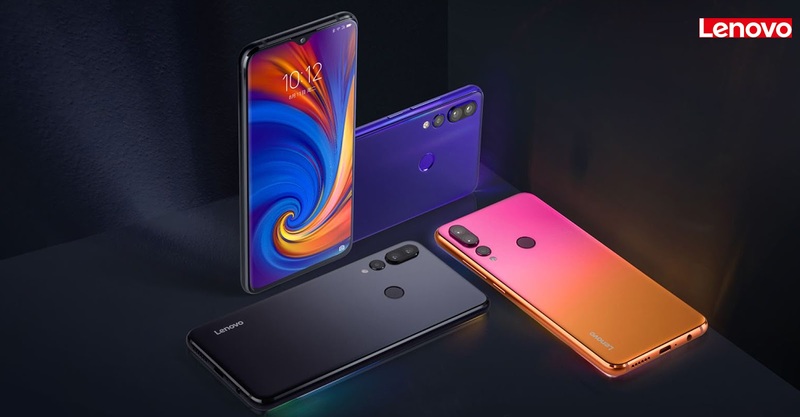 About the Camera,the Lenovo Z5s sports a 16MP main camera on the rear with Dual-tone LED flash along with an 8MP telephoto lens camera for 2x zoom and a third 5MP camera for portrait shots. On the front, we can see a 16MP camera sensor with f/2.0 aperture size. The device will be available in Honey Orange, Grey and Titanium Crystal Blue color variants.There is a 3300mAh battery with support for 18W fast charging. The Devise is priced at 1398 Yuan (approx Rs. 14,400) for the 4GB RAM and 64GB storage variant, while the 6GB RAM and 64GB is priced at 1598 Yuan (approx Rs. 16,400). There is also another model with 6GB RAM and 128GB of storage, that is priced at 1898 Yuan (approx Rs. 19,500). Stay tuned on PhoneWizerd for mpre informarion.